Lover of all things code. 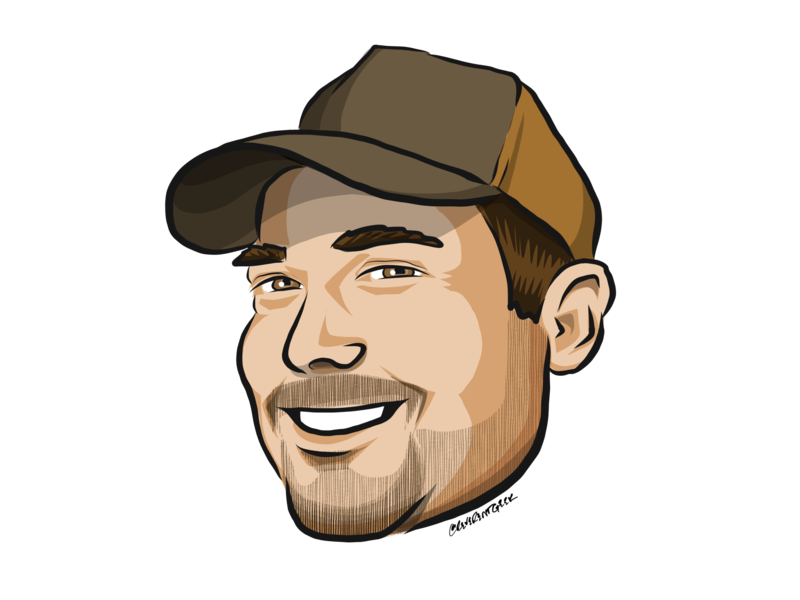 Prism Member, Xamarin Forms Evangelist, and Microsoft MVP. When I'm not busy consulting or speaking on `The Cloud`, Cross Platform Development, Prism, or Xamarin, you can often find me with my laptop at Starbucks or out on my boat slinging code. I am available for remote and B2B contracts. I am happy to meet on-prem for project starts, but do not do long term on-prem contracts. I am also happy to meet with your team for code reviews, and guidance on development or getting your project back on track. 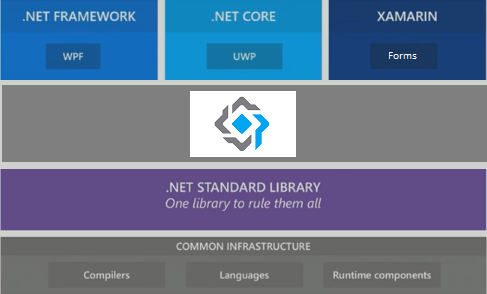 If you're a Xamarin developer, chances are you've been through a struggle or two with NetStandard. NetStandard offers a lot of advantages, but support has been slow going in many cases. Xamarin Forms only recently began shipping NetStandard. Prism users have been asking for a while now to have NetStandard support. Obviously for WPF users NetStandard really doesn't offer any advantages, and for UWP it just creates a few headaches, but that hasn't stopped requests for the Core to support NetStandard or for Prism Forms to be converted. For a while now I've been either pointing people to my preview templates or telling them to use the PackageTargetFallback attribute with the new csproj format. Well, I'm happy to say that Prism for Xamarin Forms is now available in NetStandard! While NetStandard support is fantastic, I probably wouldn't take the time to write a post just about that. One of the problems we all face is when we run into an issue with a library in our code base, and the issue is fixed on GitHub. The problem is that it may be days, weeks, even months before it is available. So suddenly you have to uninstall the NuGet packages, add the open source library as a git submodule. As Prism moves into the 7.0 update, I'm also very happy to announce the official Prism MyGet feed that is tied into the builds so when new features are added you can immediately expect a new CI package available on MyGet so you can immediately start using the features you need without having to wait for an official release. You may be thinking that NetStandard is great and all but that isn't really new. As part of Prism updating to Xamarin Forms 2.3.5, you will now have full support for working with Prism on macOS applications. Another change you can look for starting now in the 7.0 addresses the overhauled OnPlatform starting in Xamarin Forms 2.3.4. Unfortunately the new Xamarin API for OnPlatform uses magic strings, and is cumbersome to say the least if you're working with it from C# code and not in XAML. Prism has updated the IDeviceService and provided a new RuntimePlatform enum. We have also updated Platform dependent View Registrations to use this new RuntimePlatform enum. This will ultimately be a lot cleaner than the previous type based registrations. Following the deprecation of the previous OnPlatform functions within the Xamarin Forms Device class, we have updated IDevice to deprecate this feature as well and added access both the Xamarin Forms Platform string and our RuntimePlatform enum. Another major improvement addresses exceptions thrown during navigation. Prism Forms will now properly log and re-throw exceptions that are thrown when you're navigating. This has been a major pain point in the past where the exceptions were effectively swallowed by the NavigationService and you had no idea what threw an exception or even what the exception was. Many times you might have simply found yourself getting an exception thrown because your MainPage was null and the platform excepted something. There have also been a number of reported Navigation Bugs fixed in Prism 7. If you're developing UWP applications with Prism there are a couple of gotcha's that you'll need to know about. Note that if you are developing a UWP application with the Prism QuickStart Template for Xamarin Forms, this has already been added for you. Querystring navigation is one of the most amazing things about the Prism Navigation Service, and it's about time that you should be able to dynamically create tabs or use modal navigation through the querystring. Removal of support for the Xamarin Forms DependencyService. This really leads to some bad practices, and with IPlatformInitializer there is simply no need to rely on the Dependency Service for Platform specific types. An ability to use MVVM and the ViewModelLocator with custom Views as well as Xamarin Forms Pages.